Designing your own new home may sound like fun, especially if you already have ideas of what you want floating around or you can picture in your mind the dream home you desire. Unless you are an architect or have previously had involvement in the construction industry, there are many components to a home that you may not have considered or that you have never even heard of before. For this reason it is inevitable that you will need to collaborate with an architect or a building consultant to finalise the finer details and ensure the design complies with any relevant building codes and regulations. Two storey house designs will also have more rules to adhere to than a single storey home because of neighbour privacy factors and safety concerns – for example, councils may require you to install privacy screens on balconies to preserve as much privacy as possible for neighbouring homes. There may also be regulations governing the placement of upper level windows, how close to the property boundary you can build, where you can place a pool or spa on the property and so on. Safety considerations could include things like balustrading requirements for balconies in two storey designs and hand-rail requirements for staircases. When drawing up the plans for your new design you also need to pinpoint locations for things like lights, power points, windows and cupboards; if you are planning on having an eco-friendly or sustainable home then the materials used and the location of these items is critical as they can alter the energy efficiency of the home. As you can imagine, this would be an even more complicated task for a 2 storey house design and this further substantiates the need for collaboration with an architect or building specialist in order to get the right balance and combination of materials and design to be used in the plan. Another very important detail which will impact the design of the house is the Bushfire Attack Level (BAL) rating of the block of land you will be building on. If your block is located close to bushland it may incur a higher BAL rating meaning that the design of the home needs to adhere to additional specifications including the use of fire-resistant building materials which can also significantly inflate the cost of building your home. Sometimes when land is located in a high fire-risk area, it may be necessary to have the home elevated off the ground as a fire-mitigation strategy; if this is the case it may prompt you to choose to build a single storey home rather than a two storey house to reduce building costs. 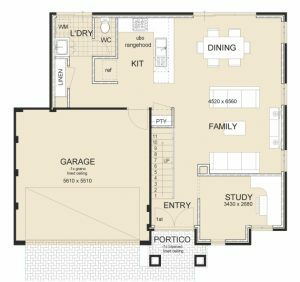 Hopefully the information provided in this blog hasn’t scared you away from creating your own house design in Perth, but instead it has helped you to recognise that liaising with an expert can help to get your design completed within budget, without having to make numerous changes because of council requirements that you weren’t aware of, but most importantly resulting in a design you are happy with!